Recently I had the privilege of chatting via Skype with a colleague of mine whom I met though the “The Hive” accelerator program in Tel Aviv. 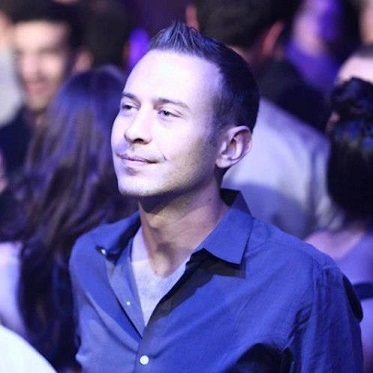 Alon Ben Cnaan recently launched a new venture, Joint Startup that may make breaking into international markets easier for new startups. Alon, tell me a little bit of your story and where the idea for Joint Startup came from. Born and raised in Bogota, Colombia, I moved to Israel at age 17, believing Israel to be a giant canvas of opportunity. After 3 years of the army, I enrolled in the Technion-Israel Institute of Technology in Haifa. While completing my degree in Economics and Management, I spent a year studying in the London School of Economics, as well. It was during my time at the universities that the fire was sparked to join the adrenaline-ridden world of entrepreneurship. Before graduating, I had my first startup design ready to go. Like most young entrepreneurs, my first attempt is not exactly a beautiful love story! My partner and I ran into a multitude of obstacles, but we managed to develop a prototype and launch a product in the fall of 2009. What were some of the struggles you faced in your first-launched company? I was really surprised to learn that Israel is not exactly that blank canvas waiting for creative brilliance of young minds like I had thought. It’s things like expensive set-up costs, banks applying more fees for new companies than to mature ones, and everyone wanting a piece of your pie that added to the struggle. I also thought my market (university students) would quickly see that the addition of our product to their lives as a blessing from the skies, but the reality turned out not to be so simple. While facing these frustrations, we got accepted into an accelerator program, which opened our stubborn minds to new ways of seeing the business. It was during our participation in the program that we noticed our peers up against a common problem: Everyone had a big idea in mind, yet a small market in hand. Over and over again, I heard people state their big dream- to tap into the US market and launch their startup there. My partner and I attempted to launch abroad using connections we had through friends and peers, but no one was as passionate and willing to dedicate themselves to our project like we were. We had the same problem when we created a joint venture formation with 2 leading Israeli bodies in the student world, and ended up dismantling the company at the end of 2012. So, from the challenges you faced in your first venture, you were inspired to create this new venture, Joint Startup? Yes, yet I need to rewind a bit in the story. I had become the “go-to” guy for my friends seeking a little advice about international startup, networking, and the like. I had a few trusted connections abroad and was enthusiastic to connect them with my peers in Israel who came to me asking for ways to probe into markets abroad. In one specific case, I linked up some Israeli friends who had developed an IOS app with another friend of mine getting his MBA at NYU. I acted as a bridge, which compensated for them not knowing each other, helped overcome language barriers and other issues, and together we managed to set up a working mechanism. That enabled the MBA students to enter into the prestigious NYU entrepreneurship competition with the Israeli app as their venture. They ended up 2 steps from the final round before elimination, which was quite an achievement! All parties were very satisfied, grew a lot from the experience, and had met enough new people and found enough support to push it forward from there. Shortly after that, I was having a beer with the same MBA student friend, talking about the experience during the experiment. We realized we had set the groundwork for something that could be a brilliant solution to the growing pains of startups looking to expand internationally. We started brainstorming over the next month or so, joined together with the other NYU student from our initial experiment, and started putting together the base for Joint Startup. You can read about the specifics on our site, but the basic idea is that we connect international start-ups with current MBA students in top academic institutions in the US with the purpose of working together and the ultimate goal of creating US based joint ventures in the US. Currently we are ready to launch the pilot for the program, with startups from Israel and Bulgaria and MBA students from NYU Stern School of Business. We start with a get-to-know/interview period, leading to the 3 month Fit Test. The goal is to incorporate the US-based JV, with the international and local students sharing ownership as well as strategy and operations responsibilities. So what are you looking for at this stage? We are looking for dedicated MBA students and motivated start-ups looking to get a foothold in the US market. And the dream for the future of Joint Startup? Long term, we dream of JS becoming a platform to be used for potentially any start-up from any country to connect with other MBA or grad students internationally (not just for launching in US). Medium term, South America is our next target for discovering entrepreneurs and we hope to have MBA students from multiple US Ivy League and top business schools taking part in our program. We believe strongly that talent is found everywhere, but even in a rapidly globalizing world, opportunity still is not. Hopefully we can be that bridge for more entrepreneurs!